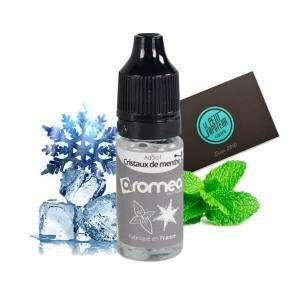 For those who are in search of an e-liquid following the principals of DIY know at which point the presence of a good additive for the e-liquid can make all the difference. Whether to raise the taste of certain aromas, round up the final e-liquid, sweeten or give a sensation of freshness, the additives are essentially pushed for personnalisation and aunique experience for the vaper. Which ever e-liquid additive is missing for your homemade liquid, you can find in this category and create silmply the perfect liquid that you have always dreamed of. A flavour enhancer which is employed to strengthen sweet flavours and sweet compositions. This additive brings a note of Menthol for your DIY preparations. To be used depending on your taste. A flavour enhancer which brings the taste of Vanilla for your DIY preparations without denaturing the other flavours. This additive is a flavour enhancer, softening the preparations and bringing a Vanilla taste. The DNB is an additive which brings your vape with Smoky notes and close enough to Classic Blonds. Fruit Mix is an additive which brings Fruity Flavours to your recipes. Capella Supersweet additive. 13 ml drop bottle. An aroma which is very close to Vanilla. It is very useful when cooking and in perfume for a Vanilla perfume. Allow you to increase the sensation by adding a note of sweetness to your DIY to neutralise the bitterness to the Aroma. 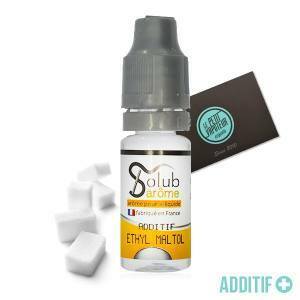 Ethyl Maltol is the enhancer which allows you to add a sweet taste, like Acidic Candy for the DIY recipes. 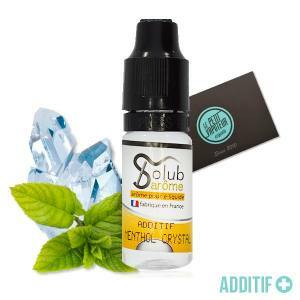 Acidic Additive or Sour allows you to add a light spicy and acidic taste to your DIY Preparations. The Acétyl Pyrazine gives a smoky Hazelnut Taste. The Acetyl Pyrazine is often used for Classic and Gourmet recipes. An additive which is fresher than Koolada and brings a light touch of mentol for your DIY Preparations. The Sweetner with sweet sensations of DIY preparations, neutralising the bitterness of certain aromas and nicotine. Do you fancy a hint of acidity for sublime flavours ? The Sour is made for you ! Bring a touch of freshness to your DIY E Liquids!